New Delhi: The Ministry of Health & Family Welfare with the officials from National Centre for Disease Control (NCDC) reviewed the current situation, state preparedness and action taken to deal with West Nile Fever (WNF) in Malappuram district, Kerala, today. MOHFW deputed a multi-disciplinary public health team to Mallapuram District to investigate various epidemiological aspects of West Nile Virus in the district and State. The State has been advised to follow the National Vector Borne Disease Control Program (NVBDCP) guidelines of personal protective measures to prevent mosquito bites. This guideline is available at NVBDCP website (nvbdcp.gov.in or nvbdcp.gov.in/WriteReadData/l892s/JE-AES-Prevention-Control(NPPCJA).pdf). The Ministry has also recommended vector surveillance and control to be carried out in coordination with NVBDCP. All cases of JE/AES are to be investigated as per guidelines of JE/ AES and also tested for West Nile Virus. Further, the community is to be sensitized through IEC campaigns on the use of personal protective measures to prevent mosquito bites as per NVBDCP Guidelines. To date, no human-to-human transmission of WNV through casual contact has been documented. 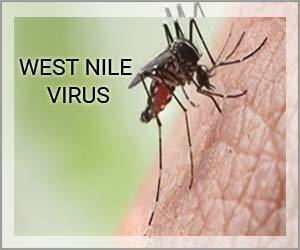 Infection with WNV is either asymptomatic (no symptoms) in around 80% of infected people or can lead to West Nile fever or severe West Nile disease.